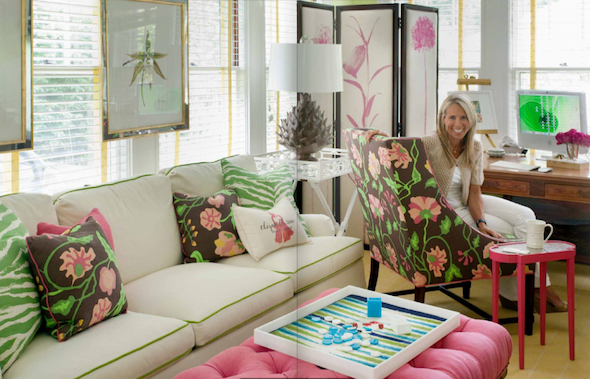 I came across Liz Caan Interiors a few months ago and just remembered how much I really loved her design. 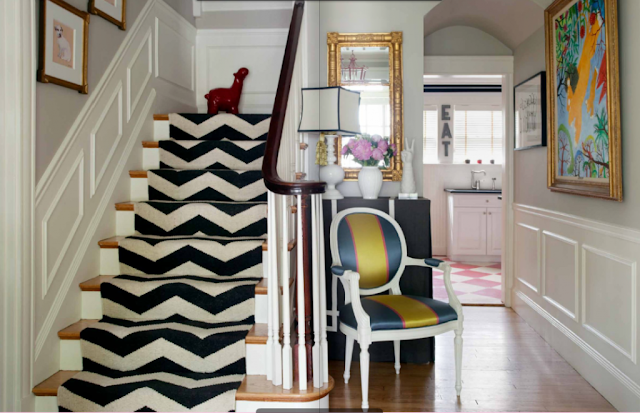 It's layered and bright and preppy, which are things I love most in design. Her website is so much fun to look through where you can find more images like the ones below. Is this kitchen not fab? 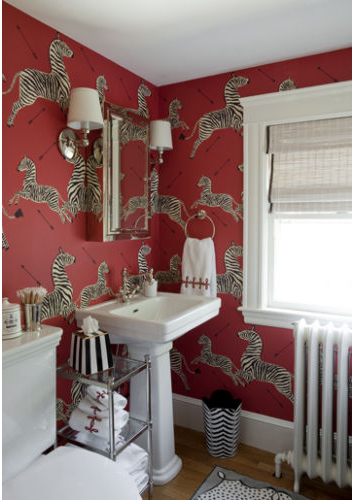 First, I love the black and white horizontal stripes and I love that she did them on the ceiling as well. Second, check out that booth. Other than being such a smart use of space, this is actually a table that families use. No excuses in sitting in front of the TV for dinner! I love the botanical prints that she has hung on her windows. Would you consider doing that? Is this not one of the most precious girls rooms you have ever seen? I love the colors and the wallpaper. When she is a little older, just take the drapes down and change the chandelier and the room could turn into a teenagers room pretty easily! The chevron stripes on the stairs are so chic. Are y'all sick of chevron yet? I have my moments, but deep down, I still love it. I love love love the art work. It could go in so many different rooms but I love that such a whimsical painting is over a formal sofa. I am a sucker for monograms, especially on bed linens! The leontine linens on that bed are gorgeous! I also love the silhouettes of her children on the wall. And last but certainly not least, this wallpaper.